Sanyo Generic Complete Lamp for SANYO PLC-XR251 projector. Includes 1 year warranty. Sanyo Generic Complete Lamp for SANYO PLC-XR301 projector. Includes 1 year warranty. Epson Generic Complete Lamp for EPSON PowerLite PC 9700UB projector. Includes 1 year warranty. Epson Generic Complete Lamp for EPSON H292A projector. Includes 1 year warranty. 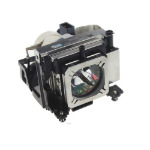 Epson Generic Complete Lamp for EPSON H293B projector. Includes 1 year warranty. Epson Generic Complete Lamp for EPSON H336F projector. Includes 1 year warranty. Epson Generic Complete Lamp for EPSON H373B projector. Includes 1 year warranty. Epson Generic Complete Lamp for EPSON H373F projector. Includes 1 year warranty. Epson Generic Complete Lamp for EPSON H336A projector. Includes 1 year warranty. Epson Generic Complete Lamp for EPSON PowerLite PC 9350 projector. Includes 1 year warranty. Epson Generic Complete Lamp for EPSON H419A projector. Includes 1 year warranty. Epson Generic Complete Lamp for EPSON H293A projector. Includes 1 year warranty. Epson Generic Complete Lamp for EPSON PowerLite HC 8100 projector. Includes 1 year warranty. Epson Generic Complete Lamp for EPSON PowerLite HC 8345 projector. Includes 1 year warranty. Epson Generic Complete Lamp for EPSON H420A projector. Includes 1 year warranty.